Lawrence Rock has been Audio Director of the New York Philharmonic since 1997, overseeing all audio activities including recording, broadcasting, and live sound. His current projects include producing recordings featuring Music Director Jaap van Zweden and the New York Philharmonic released through the Philharmonic’s partnership with Decca Gold. The third album, of Stravinsky’s Le Sacre du printemps and Debussy’s La Mer, will be released in February 2019. In 2005 Mr. Rock received three Grammy Awards for John Adams’s On the Transmigration of Souls, for which he served as co-producer with the composer. 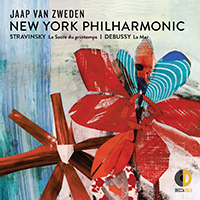 Other projects include New York Philharmonic and Lorin Maazel: The Complete Mahler Symphonies, Live; Deutsche Grammophon’s New York Philharmonic DG Concerts CDs and downloads; and the Grammy-nominated CD Sweeney Todd: Live at the New York Philharmonic and the 10-CD set Kurt Masur at the New York Philharmonic for the Philharmonic’s own recording label, New York Philharmonic Special Editions, co-produced by Mr. Rock. He has also made commercial recordings with the Chicago, Houston, National, Milwaukee, Indianapolis, and Grand Rapids symphony orchestras. In the summer you can find Lawrence Rock at the controls in the sound booth at the New York Philharmonic Concerts in the Parks, Presented by Didi and Oscar Schafer, and Bravo! Vail during the Orchestra’s annual summer residency there. He often accompanies the Orchestra on tours for radio and TV broadcasts, as well as live sound. THE FACTS: Born in Morristown, New Jersey; moved to Chicago at age 17. Attended University of Illinois. Worked for 13 years at radio station WFMT, Chicago. As a freelance engineer, made recordings with the orchestras of Chicago, Houston, Milwaukee, and St. Louis. Recipient of four Grammy Awards and an Emmy Award. At the Philharmonic: Began in 1997. DESCRIBE YOUR JOB: I am responsible for all audio activities: recording, producing, and mastering releases for broadcasts, iTunes, Amazon, Spotify, and more. I also oversee live-sound needs, both indoors and out. WHAT WAS YOUR FIRST PROJECT AT THE PHILHARMONIC? In 1997 the Philharmonic returned to the air with live radio broadcasts. I was hired for that project and to make archival recordings suitable for commercial release. I worked on Philharmonic Special Editions™ releases, including An American Celebration, the Bernstein Live broadcasts, and Sweeney Todd (2000). HOW DID YOU GET STARTED? I gained my early experience at WFMT in Chicago. I had wonderful opportunities working with live chamber, orchestral, and operatic performances. I’m gaining experience every day here at the Philharmonic: there are always new challenges in technology and new ventures. DID YOU STUDY MUSIC? I played the trumpet for about a dozen years. My mother was very musical, and I was exposed to classical music at home and fell in love with it. I became interested in radio and enjoyed listening to radio theater. WHAT IS THE SECRET TO RECORDING A LIVE CONCERT? Having an aesthetic point of view to use technology to make a recording, and having knowledge of the repertoire and what is an appropriate kind of sound. It’s capturing the essence of the performances in a sonically balanced representation of the Orchestra. WHAT DO YOU LIKE TO DO OUTSIDE OF WORK? My favorite activity is hiking, which is great to do during the Orchestra’s summer residencies in Vail. I also enjoy swimming, ice skating, and hanging out with my kids.